Paisley came to FFL as an owner surrender. Approx 8 weeks old. Now adopted! Great with kids, dogs and cats. Loves small dogs!! Very friendly. Great off leash. House broken. High energy. Smart. Can open doors! He is fixed. Does have separation anxiety. Does get anxious with storms. 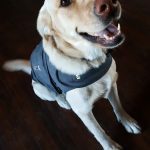 Duke needs a person that is retired or works on their own or in a situation that he can be taken with them for the day. A large farm or lots of land would be ideal. 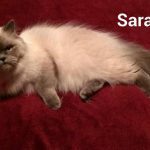 Sara's owner can no longer care for. Sara is 4. Sara was Spayed and has now been adopted! Audrey and Jerry have been adopted together! 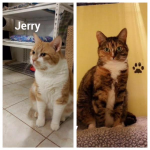 Audrey and Jerry have been waiting many months for a new home. Misunderstood as they are Both shy on first encounter. Given time and patience they evolve into a loveable pair just wanting to be loved. Please see past their shy facade and give them a chance. 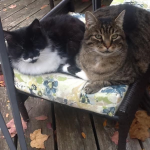 Fuzzy and Rupert are 2 bonded neutered males ages 14 and 16. Owner was moving and not taking them with her. They were turned away from various shelters due to their age. We found them a home together! 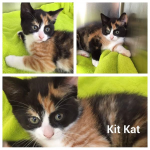 Kit Kat came to FFL as an owner surrender. Approx 8 weeks old. She has had her first set of vaccines. She has now been adopted! 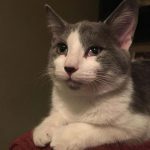 Catsup came to FFL as an owner surrender. Approx 8 weeks old. He has had his first set of vaccines. Now adopted! Teenie and weenie were caught in trap. Living down by the bayshore. 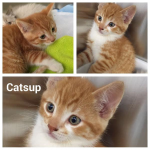 Moms have n=been Spayed and these little ones have now been adopted!rother. We were adopted! 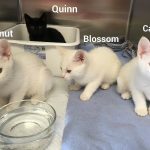 Coconut,Blossom, Casper and Quinn's owner surrendered them to us. 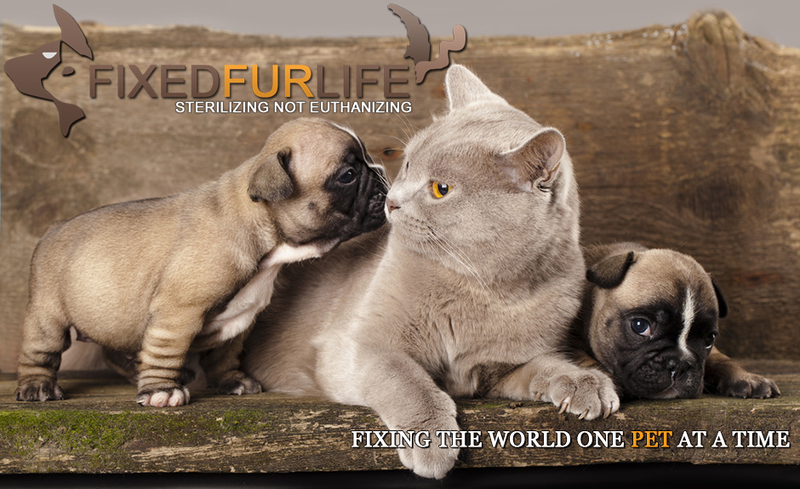 Their Un Spayed mother will be spayed through Fixed Fur Life. 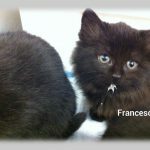 Francesca was adopted! 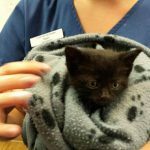 1 of 5 kittens born outside and now safe indoors with Fixed Fur Life. Momma was spayed and adopted! 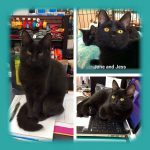 Jake, June and Jess were adopted! Jake June and Jess were found scattered and crying in the woods. Their Mother was nowhere to be found. They went into Foster Care to be bottle fed and they are now ready for adoption. 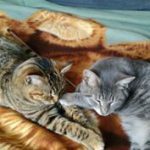 Smokey and Tillie were adopted! Smokey and Tillie were living outside. Brought in from the cold. 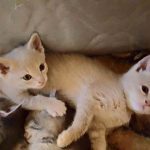 They are Spayed and neutered and are now available for adoption. Annie was adopted! Annie was a stray kitten. 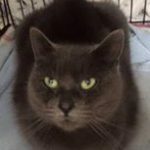 Brought to Fixed Fur Life she is now Spayed and ready for adoption. As you can see she has an abnormality with her left eye. It was a malformation of the lens in her eye and it will always look like this. EXTREMELY friendly little girl! Penny was adopted! Penny came to us as a stray. Ill when she arrived with an upper respiratory infection she was treated and has now evolved into a very happy kitty! 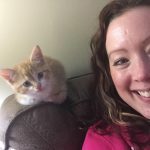 Miss Kitty was adopted! 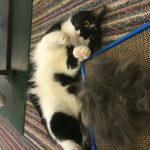 Miss Kitty's owner could no longer care for. 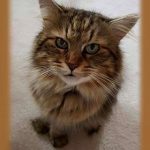 She is 7 years old and Spayed. She would like to be an only child. Roxie was adopted! Roxie came to us as a stay. Very shy at first but quickly came around once she knew we just wanted to help her. She is now Spayed and presently at Global Pet Foods Belleville. 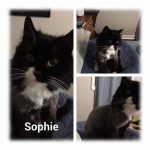 Sophie came to Fixed Fur Life as a stray and badly matted. A complete shave was in order soon after arrival. She was spayed by FFL and has been adopted! We were adopted! 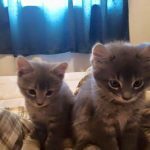 Sammy and Smurph were surrendered to Fixed Fur Life as their owner could not care for.They are presently at the Trenton Pet Valu. We were adopted! Sookie and Stewart's owner could not care for. They have been surrendered to Fixed Fur Life. Presently at the Trenton Pet Valu for adoption.